Notice: When recording audio in Chrome you might have to allow recording not only inside the studio, but also in any pop up from Chrome asking for permission to use your mic. 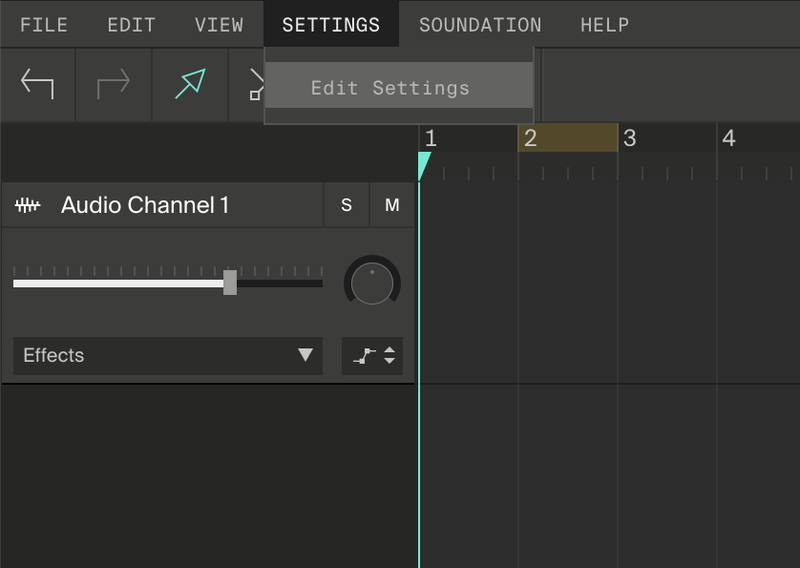 You can record directly from the microphone input on your computer into a hightlighted channel in Soundation Studio. Click on the grey box of an audio channel to highlight. Then click on the Record icon to start recording. You can record multiple tracks, add effects and automation. If you click on the metronome icon, you will activate a click track to play along to. The click has an accent on the downbeat of 1. Everyone can have fun with recording but to save, mixdown or publish any recorded tracks you will need an Intro or Premium account.